I just had to get this review up a.s.a.p because I need you all to know about this product!! 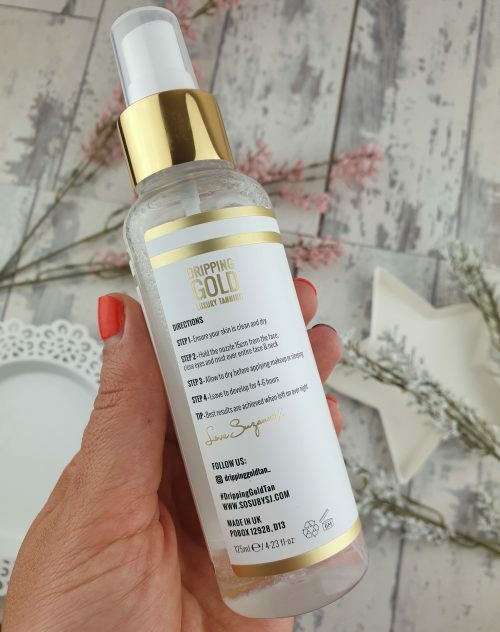 The Dripping Gold Wonder Water Self Tanning Facial Mist is genuinely one of the best tanning products I have ever used and I want to tell you why. Before I do I just want to talk a little bit about what this product claims to do. First off, can you cope!! This is only €12.95!! I would agree with all of the above except one. I find that this product tends to slightly dry out my skin. It’s nothing too bad but it’s something to note incase you are expecting a lot of hydration from this. This will differ depending on the skin bit for me I definitely need extra hydration after using this. I don’t mind that though as this is the case will all tans for me. Other than that the product does exactly what it says. 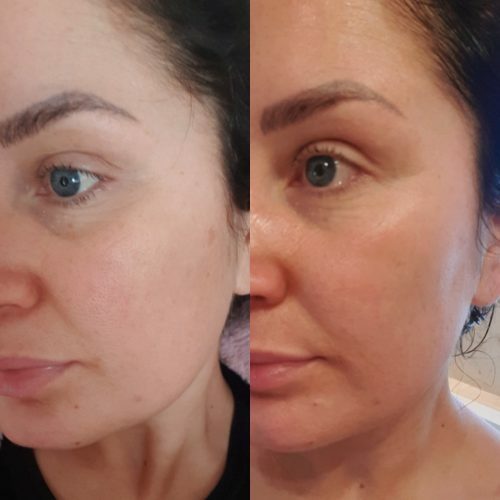 It gives the skin the most natural, stunning glow. I can honestly say it doesn’t break me out. It doesn’t look patchy and it wears off perfectly. I use shade Medium/Dark. I tend to opt for a medium tan but I decided to buy the Medium/Dark as I felt it was a little more versatile. If I want a darker tan I simply apply the product to my face and blend. If I want a light/medium tan I apply a very generous amount of face cream to my face and then apply the tanning water. 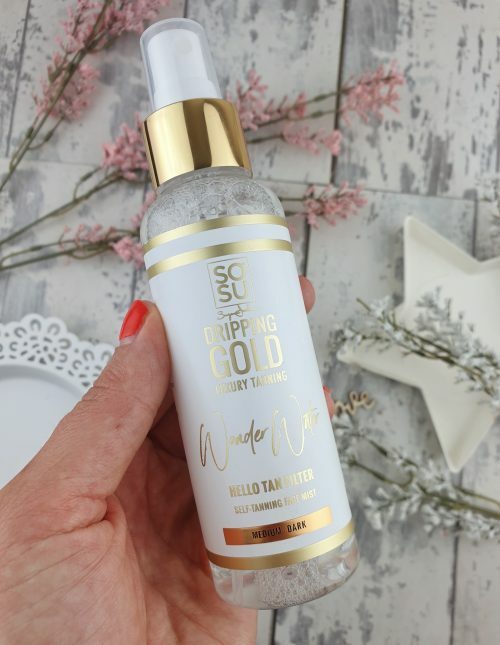 You can also mix a small amount of the mist with a moisturiser in a tub or the back of a tanning mitt which will dilute the product giving you a much more subtle glow. I’ve seen people say the light/medium is dark enough for them which is great but if you tend to move between a medium and darker tan I would suggest buying the Medium/Dark as it’s more versatile. I never look too dark after using it. It’s just stunning!! I would say the tan lasts for around 3 days before it needs to be reapplied. Obviously, the more you wash your face or the more you apply exfoliating products the less time you will get out of the tan. The fade is very even. It doesn’t cling to my hairline or on my drier patches. However, it’s worth noting. You have to make sure you cleanse thoroughly when using ANY facial tan. If you don’t it will look patchy and uneven because it will cling to the oils and makeup. When first applied the tan smells lovely. There is a slight DHA (the tanning agent) scent off it as it develops but nothing too bad at all. I just want to be totally honest so I said it’s worth mentioning. Again, how it smells can also be down to how it reacts with individual skins. Have you ever thought a tan didn’t smell too bad and then someone else would say it smelt awful? That’s why!! For me, this only has a slight hint of a smell. As mentioned above I will use a moisturiser or not depending on the desired colour I want. I will then either spray the tan direct from the bottle onto my face or on to a mitt or brush and apply to the face. Just make sure to blend the product very well into the skin paying particular attention to the hair line, ears, neck etc. I do feel the spray on the bottle can be a little strong so I do prefer to spray the product onto a brush/mitt before applying but that’s totally up to you. I let it sit for around 5 minutes and then get dressed. I’ve left this on over night or if I was in a rush I would apply it in the morning and allow it to develop during the day. I also find this great for the chest area. Lots of tans don’t take as well to the chest area and this is a great way of topping that area up. I have actually applied this to my arms as well and it worked nice enough. It’s not the best for this as it has no colour guide but it’s good if you are stuck. If you are an experienced tanner you could use this on your hands too. I did see a small amount of transfer from my face to my white pillow cases. Another thing to bare in mind. The above was applied with no moisturiser underneath. So this is the darkest it will go on me. So, have you tried this product? What do you think of it? I know at the moment the tan is totally sold out but be sure to keep an eye out for it. It is so worth picking up in my opinion. 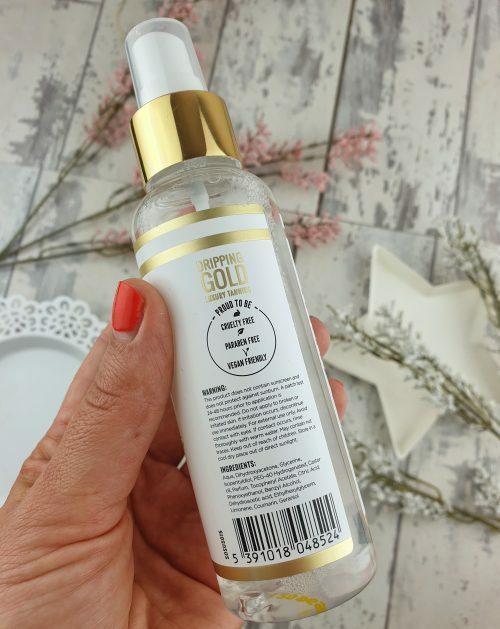 Stockists include Penneys, SoSubySJ website, pharmacies nationwide including Roches Pharmacy where you can also get a further 15% off using code Adorn1 (not affiliate). I bought mine in a local pharmacy. You can find a full stockist list here. Let me know if you have tried it and what you think. I honestly haven’t heard one bad thing about this product so far.